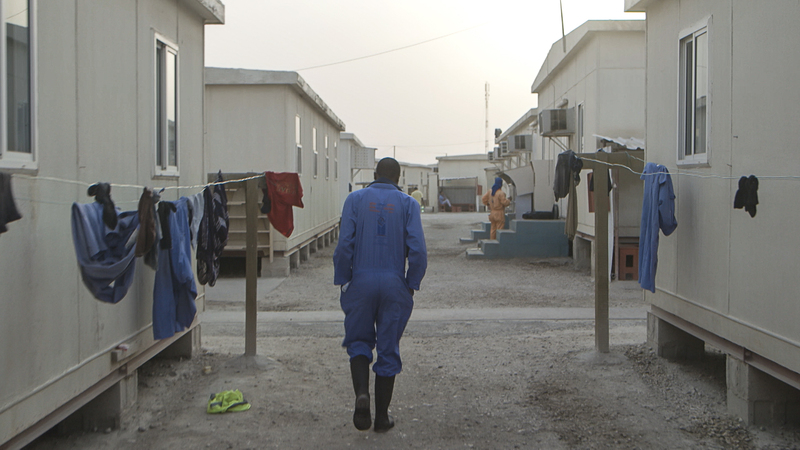 The Workers Cup is a close look inside Qatar’s labor camps, where the future World Cup locations are being built by a million-plus migrant workers. The film follows a team of laborers living a real-life version of fantasy football. By day they sweat on the construction sites, by night they compete in a "workers welfare’" football tournament, playing in the same stadiums that will one day host the world’s greatest players. The director zooms-in on a team with workers from Nepal, India, Ghana, and Kenya whose only common ground is their love for football. Each match offers a momentary escape from homesickness and isolation. Feeling like pawns in the World Cup’s marketing game, they can’t help but hope that their success in sports will bring a change to their lives. Adam Sobel is a writer and filmmaker living in Qatar. In 2013 he made a documentary series following the first woman from Saudi Arabia to climb Mt. Everest. The series won a 2014 CINE Golden Eagle. Since 2013 Adam has served as an advisor for Northwestern University in Qatar's film grant program.